Advanced Persistent Threat Archives - Symtrex Inc.
Attackers exploit trust in popular websites to launch phishing campaigns and spread malware. More than 12,300 websites in the business category were used to launch cyberattacks or deliver malware in 2017, making company sites riskier than gambling and shopping sites. Attackers are abusing people’s trust in popular sites to launch consistent and effective malware campaigns. Forty-two percent of the top 100,000 websites ranked by Alexa are considered “risky,” according to Menlo Security’s State of the Web 2017. Researchers determined a website’s risk based on three criteria: use of vulnerable software, history of distributing malware or launching attacks, and the occurrence of a security breach within the 12 previous months. A site was deemed risky if it met any one of these criteria. The largest category of risk was news and media sites, 49% of which met a risk factor, followed by entertainment and arts (45%), travel (41%), personal sites and blogs (40%), society (39%), and business and economy (39%), which includes company, association, industry group, financial data and serivces, and hosted business application sites. Business and economy sites hosted more phishing sites, ran more vulnerable software, and experienced more security incidents than any other category in 2017, researchers found. The category was hit with 23,819 incidents in 2017; the next-highest was society sites at 12,669. Background websites: Who are you talking to? Menlo CTO Kowsik Guruswamy explains the risk of “background radiation,” which stems from the idea that much of cybercriminals’ damage happens behind the scenes. Each time someone visits a website, it contacts an average of 25 background sites for different demands: grabbing ads from an ad delivery network, for example, or videos from a content delivery server. Any of these third-party sites could be compromised and pose risk to users. Most malware prevention tools, from antivirus products to behavioral modeling systems, are designed to focus on the intended domain and often don’t pick up on calls to background sites. A major website like Bloomberg might have an IT team to update servers, Guruswamy says. However, when end users visit and are presented with videos and ads, the activity comes from other networks and may not necessarily be safe. The same applies to all major websites. Many of today’s websites are participating in browsing sessions, and actively servicing ads, on software riddled with vulnerabilities, Guruswamy says. “You have this really, really old software that’s full of holes that haven’t been patched and are waiting to be exploited,” he explains, pointing to the Equifax breach as an example of what threat actors can do if a website is running unpatched software. Menlo analysts passively fingerprinted website software for both primary and background sites, and coordinated the documented vulnerabilities for each one. They found more than 51,000 business and economy websites are running vulnerable software. The software supporting company websites is often old enough to have been compromised several times over the past few years. More than 32,000 websites analyzed run on Microsoft Internet Information Services (IIS) 7.5, which was released in 2009. Many sites use software that is no longer fully supported; for example, Microsoft’s IIS 5 Web server, which was released in 2000 and stopped receiving mainstream support in 2005. New research reveals that cyber-attacks by unsophisticated hackers this year have successfully exploited vulnerabilities that many of the world’s famed businesses were already aware of but did nothing to fix. Despite upcoming laws that will charge them millions in penalties if found non-compliant, many businesses worldwide continue to neglect standard security procedures. The latest evidence comes from the 20th annual EY Global Information Security Survey (GISS), which breaks some disconcerting news regarding the willingness of big businesses to beef up security. Only 56% of those surveyed are changing or planning to change their strategies due to the increased impact of cyber threats. Even though most organizations are spending more on cybersecurity, only 12% expect an increase of more than 25% this year. Potential damage from a cyber-attack isn’t always immediately obvious, yet 64% say an attack that “did not appear to have caused any harm” would not likely persuade the powers-that-be to spend more on cybersecurity. Many, however, recognize that lack of adequate resource allocation can increase cybersecurity risks. As many as 20% of respondents admit they do not have enough of a grasp on current information security implications and vulnerabilities to decide what needs to be done. Cybersecurity budgets are bigger in organizations that place dedicated security officers in key lines of business, as well as in companies that report on cybersecurity to the board audit committee at least twice a year. However, while 50% report to the board regularly, only 24% say the go-to person with responsibility for cybersecurity sits on that board. Moreover, only 17% of respondents say boards have enough of a grasp on IT security matters to properly assess the effectiveness of preventive measures. 38% either have no identity and access program or have not formally agreed on such a program. If you have questions or would like to discuss how to improve your security posture – contact us. Threats evolve. One of the first companies I was working for was hit by a ‘denial of service’ attack, an email was sent to a friend of mine which had a script that made sheep dance all over your screen. It was pretty amusing so she decided to send it to the distribution list in the office. Let’s just say that the system administrators were not amused, as it brought the network down completely, and took the afternoon to bring everyone back up. This was in 1995. Now security did evolve to a certain extent, this type of attack would have been caught by either your UTM, email security appliance or end point solution. Over the course of several years, security solutions did evolve – firewalls, end point, network access control and logging. In the early 2000’s, the terms SIM, SEM and SIEM were the rage, and the next best thing for organizations to battle against threat actors, as it was a great solution to review all of the events from your network in one centralized location. That was also when you could back up your logs to a CD. Fast forward to today, we have embraced BYOD, Cloud technology, IoT devices, and no one actually picks up the phone any more – email or texting is the communication tool providing immediate gratification. (anyone remember what a telex machine is). This explosion of technology, and reliance on said technology, has completely altered the threat landscape. Organizations are subject to ransomware, trojans, APT’s, insider threats and more – which ‘can’ make it through your defenses, and be hard to detect and remediate. In a recent article from Dark Reading by Kelly Sheridan, it identifies that the current SIEM systems have flaws, and while reading this, I was not surprised. Almost any product that collects event logs identifies themselves as an SIEM, and some SIEM’s now promote the security analytics more than logging portion of the product. In addition, the introduction of a new acronym – SOAPA – which stands for security operations and analytics platform architecture (Network World, November 29, 2016), was created to distinguish themselves from SIEM. Advances for the SIEM is not moving at the same speed as the threats, or taking into account different threat vectors. Typically event data is sent from the host devices, using either standard syslog or through the use of an agent, to a repository of some sort. This event data is then queried using a set of correlation rules, that will then initiate an alert or a response of some sort. While most SIEM’s identify that they have huge libraries of pre-built reporting, they need to be refined to accommodate your organization AND they need to be regularly reviewed to ensure that any new “threats” will be discovered, and alerted on or have a response of some sort created. While for some attacks the SIEM will most definitely be advantageous to the organization, and of course, if you are required to collect and monitor logs for a compliance requirement it is a necessity, however the threats today take into account how these platforms work. The threat actors are meticulous; and look at ways to evade the traditional security platforms. The growth in products that are deemed to include security analytics/behavioural analysis can assist organizations in determining if network activity is malicious. The products look at the typical activity of a network over time, baseline it, and then can provide a relatively good assumption when the activity deviates that there is a potential issue at hand. By combining behavioural analysis/security analytics, machine learning and threat intelligence, an organization will be provided a more comprehensive review of activity on your network. 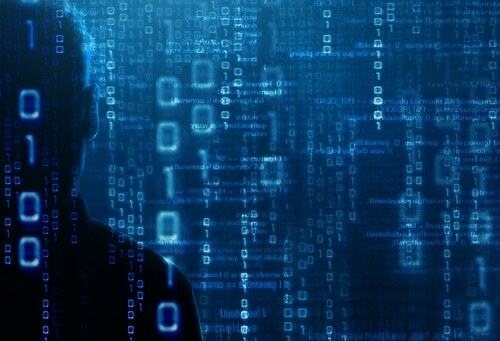 Using a system that is not based on rules, but rather looking holistically at all of the users, devices, applications and how they all interact, running it through algorithms and machine learning techniques – this will provide a more accurate detection of a threat.